Through the commitment of our teams in the United States and around the world, McWane has emerged as a leader in the industries we serve and in the communities where we work and live. For more than 90 years, McWane has enjoyed steady growth and increased our workforce. Today, McWane provides approximately 5,000 jobs in more than 25 manufacturing plants, including 13 foundries and 27 additional sales/distribution locations across the world. We also realize that a diverse workforce is a strong workforce. 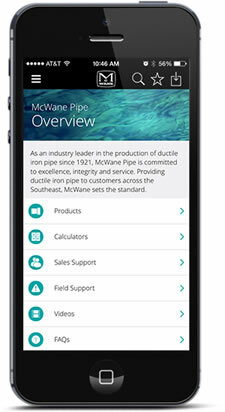 By valuing individual differences and recruiting employees with diverse backgrounds and skills regardless of race, gender or ethnicity, McWane and Tyler Pipe, employ the industry’s most knowledgeable people in the areas of production, manufacturing and management. By leveraging our employees insights and experiences throughout our organization, we better serve our customers and create innovation in markets where our products are used. McWane and Tyler Pipe are committed to being a safe workplace for employees, providing high-quality products to our customers and being a good neighbor in the communities where we operate. To view Tyler Pipe careers, click here. For Tyler Coupling careers, click here.